While working on a retro game I made several gothic inspired typeface with a really small square grid. I really enjoyed the constraint of using a low resolution to make font with such style. I reused the same process with DreiFraktur, a geometric typeface with the particularity of being draw with a isometric grid. 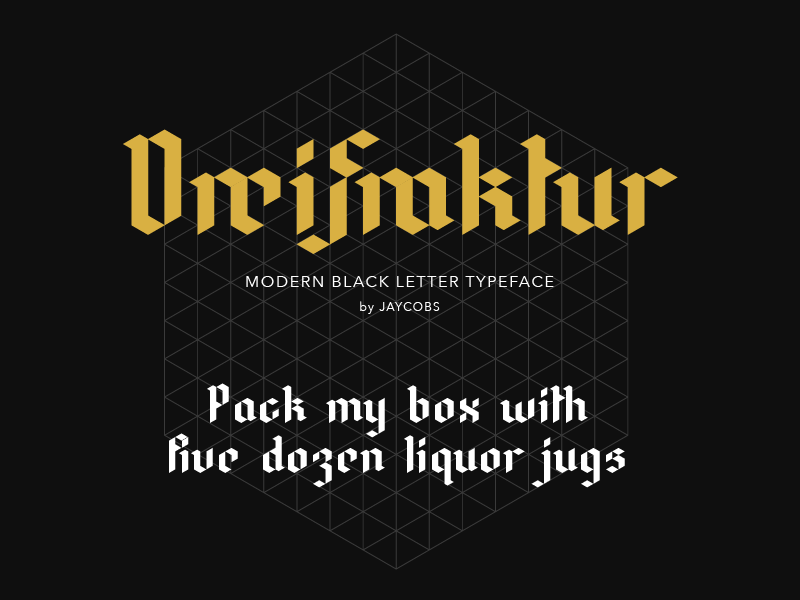 Each character is made a multiples triangles and respect a strict composition to look like a blackletter typeface and respect the path of a beveled brush.